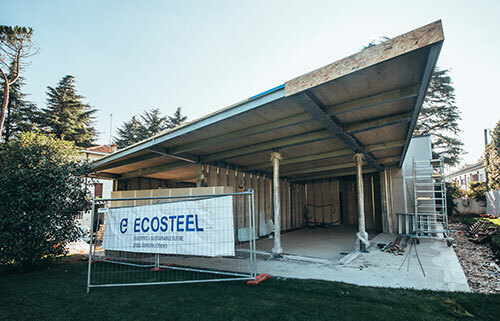 Our highly skilled workforce creates and build steel architecture for both industrial, residential and commercial buildings delivering quality through the implementation of new architectural skills and innovative and up-to date technologies. 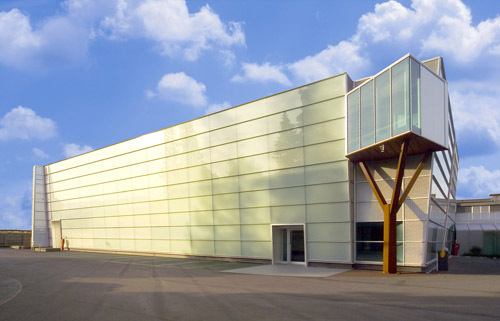 We install facades(office fronts, facades for houses and buildings in general) constantly studying new technological solutions alongside with our architects team who is also able to provide technical help for complex jobs. We design and produce steel, stainless steel, mirrored and aluminum elements for interior and exterior purpose. We offer a wide range of products which are usually commissioned to us by Designers, Architects, Retail Luxury Brands and private clients looking for a high quality product. 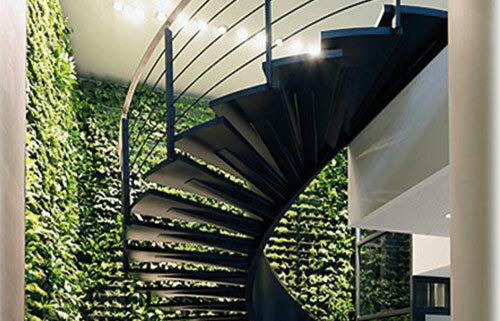 Our expertise ranges from Railings and balustrades to Unique design pieces such as special chandeliers and Helical stairs. What differentiates us from our competitors is our meticulous attention to details and the desire and need to keep updated and informed about the happenings in the ever changing world of technologies. We strive for success and in order to do so we focus on evolving, developing and constantly improving ourselves. Our technical team achieves so by constantly monitoring and supervising all the activities we are involved in ensuring both efficiency and proficiency. 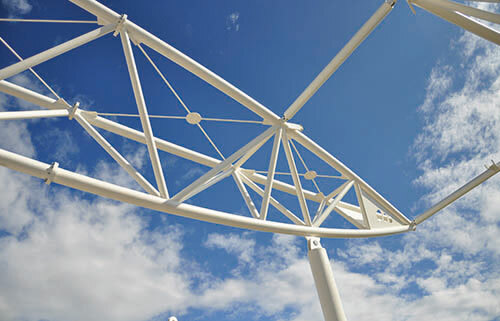 We are experts in designing and building tensile structures of many shapes and sizes. 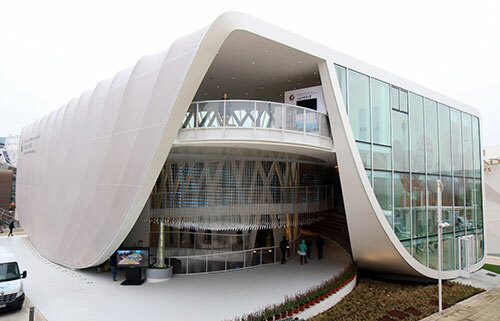 Structure and substructure of buildings is steel made and is covered in PTFE and ETFE allowing maximum flexibility. We provide a “made to measure” service in order to accommodate the client’s needs and requests. 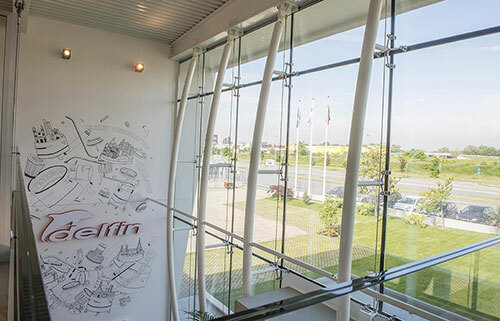 We install professional and innovative coatings for all sort of buildings, developing and studying new technological solutions alongside with our team of professionals whose job is also to provide “full-time assistance “ and help during the project. We design and produce steel mezzanines and industrial platforms. 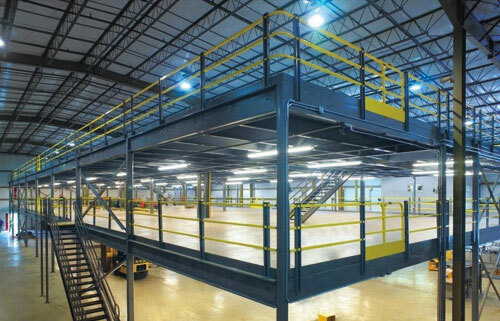 Our mezzanines and platforms are used in distribution centers, warehouses, manufacturing plants and industrial processing facilities. We design them in a way that they can be shipped via container and be easily installed anywhere in the world. A space frame is a structure system assembled of linear elements so arranged that forces are transferred in a three-dimensional manner. 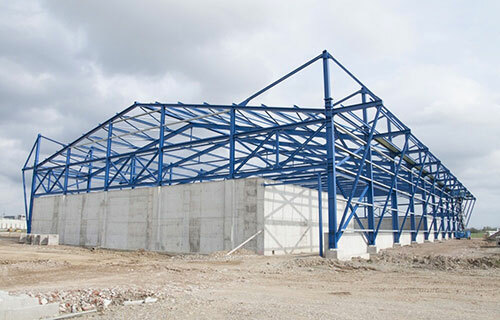 One of the most important advantages of a space frame structure is its light weight and at the fact that is also delivered to the construction site as a pre-engineered kit, which is very simple and quick to assemble.